Imagine a smartphone which gives you a 2 days battery life; whose camera gives you life like picture and video quality; which has ample amount of RAM that you can open as many apps as you want and it won't hang; which provides you a premium range built quality and design and with ALL those features it comes in just ₹9000. It seems like a fantasy right? A dream phone! Well, this dream became real on 23rd May 2017, when Xiaomi mobiles launched its XIAOMI MI4. A smartphone which is loaded with all the features that you could not imagine a budget Android smartphone would acquire. And it was launched exclusively on AMAZON. All are going to be available on Amazon on 6th June 2017 at 12 p.m. Indian Standard Time. The coolest thing is that you can Apply for notification and Amazon is going to remind you whenever the mobile phones are available. The Xiaomi mi4 comes with a 4100 mAh battery that gives you 2 days heavy duty usage of your phone. This is a common feature among all its variants. It means you just have to fully charge your phone once and then forget about charging till 2 days. Xiaomi mi4 gives comes in a premium metal body and two colours Gold and Black. Here let me tell you the black mi4 variant comes in a matte finish which gives a complete classy look and it looks amazing while holding in your hand. All three variants of Xiaomi i4M comes with three different RAM i.e. that is why it is the most cost-efficient smartphone. Now you can play games without any tension of your smartphone getting hang. In Xiaomi mi4 you get a Hybrid SIM tray, with two SIM slots, where you can place two NANO SIM. Here you also have an option of placing an expandable memory card. This SIM tray is placed outside the phone on one of its sides and Xiaomi also provides you with a free SIM Insertion Tool in the box. This insertion tool helps you to insert and remove SIM tray as per your requirement. Mi4 has an option of expandable memory up to 128 GB. And above all, it is VoLTE supported. Another important feature of Xiaomi Mi4 is that it contains a noise cancellation microphone on its head, alongside the 3.5 mm headphone jack. And as the name suggests it is an extra feature to provide its customers amazing voice call experience. No more disturbances are going to hinder your calls. IR Blaster Remote or Infrared Blaster is a tiny device that autonomously controls any device that is generally controlled by a remote. In simple words it converts your smartphone into a universal remote through which you can control the functions of your television like changing channels, increasing/ decreasing volume etc. So it gives you full control of your television and you don't have fight for remote with your siblings anymore! The new Xiaomi mi4 gives you the chance of using a premium feature, which generally comes in a premium range smartphone, in such low prices. Even the lowest variant of mi4 includes a fingerprint scanner. Through biometric fingerprint scanner, you are able to unlock your phone quickly plus it is a premium lock function to keep your mobile totally safe! Xiaomi mi4 comes well equipped with a 13-megapixel camera with LED Flash, which allows you to take breathtaking photos and capture all the beautiful moments of life. It has left no stone unturned in impressing its customers, therefore, it also comes with 5 MP front camera, best for a selfie person like me. Now moving onto the hardware part it is fueled with a Qualcomm Snapdragon 435 octa-core processor that gives you a better performance and consumes less power as compared to its predecessor. Now you can play your favourite games all day, every day without experiencing any delays. We all have some secrets, some messages, chats, photos that we don't want anyone to see. Now in spite of downloading new apps to keep your stuff hidden or locked Redmi 4 provides you with a feature of private profile. You can create as many private profiles on your Redmi 4 and access them anytime. Through this, you can keep all your personal apps in that private profile and you can easily show off your phone without compromising your privacy! So these were the 10 amazing features of the new Xiaomi mi4, didn't I told you that you will love this phone? Another feature I would like to tell you about is its comes with a 2.5 D glass. This glass is curved at all its ends which add to the holding comfort of the phone. Now nothing is perfect in this world, not even your new Redmi 4! It does not include fast charger. That means you have to spend a lot of time on completely charging the phone, though after you completely charge it once it will give you a 2-day battery backup. Hybrid SIM Tray has one deficiency that you have to choose between a SIM and a memory card i.e if you want to put in two SIM then you will not be able to put in a memory card. It does not come with the latest Android version i.e. Nougat. Instead it has a 6.0.1 Marshmallow. It's 2.5 D glass is not a Corning Gorilla Glass i.e you need a tempered glass layer to protect it from shattering. 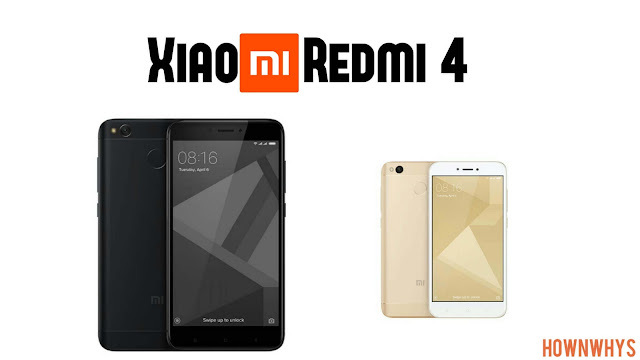 That were the few cons to a large number of pros in our new Redmi 4. No doubt it is the best smartphone to buy. Another important news about its arrival is that it is going to replace the Redmi 3S. Xiaomi is soon going to call off its manufacturing. And Xiaomi mi4 is clearly a better version of Redmi 3S. Since all the handsets launched on 23rd May and 30th May were sold out within 15 minutes of launch, therefore the sale will start again on 20th July 2017 12 P.M. exclusively on Amazon. Don't miss the opportunity now! I've always been an iphone gal. This phone seems to have a lot of great features. What do you think about me switching? We should keep trying something new while keeping the old with us, so you must try your hands on android .